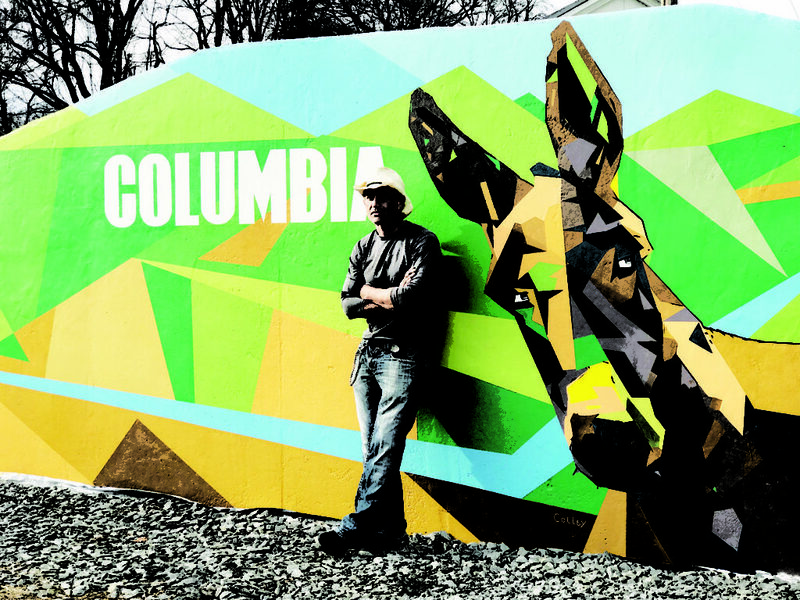 COLUMBIA, TN — Side two of the Columbia Public Mural Project depicting a much-beloved mule, iconic of Columbia’s nickname “Muletown”, has been completed. Atlanta-based artist Michael Colley signed his name to the wall, marking the end of his work on the two-sided mural in Columbia, Tennessee. The serpentine mural wall stands as the gateway to the new Columbia Arts District in front of Columbia Fire Station No. 1 at 1000 South Garden Street. Side one of the two-sided public mural project, completed in June by Colley, commemorates 150 years of fire service by the Columbia Fire Department. As Colley worked on side one of the mural, he met with a steady stream of enthusiastic citizens who stopped by to watch him work and offer their thoughts on the mural project. Colley was impressed with the feedback, overwhelmingly expressing an interest in a mule design on side two. Colley took that feedback to heart along with Mule Day inspiration, making it the theme of his designs. After several rounds of designs submitted to the Columbia Arts Council, the final design was approved and work began on side two days before Thanksgiving. “It’s not often in a career, someone is asked to design not one, but two ideas that represent an entire city,” stated Michael Colley. “They (the city) wanted to establish a larger presence in the community for the Arts and these two walls were to be a flagship for that endeavor. The fire station mural was side one. The mural for side two needed to light up the new and growing Arts District in Columbia, so I picked Cubism for the style, made famous by Picasso. I feel honored to have been part of the city’s art movement and only hope it continues to grow and grow. I look forward to returning to Columbia in the near future to help in any way possible”. Columbia’s Muletown Mural Project is now completely done. 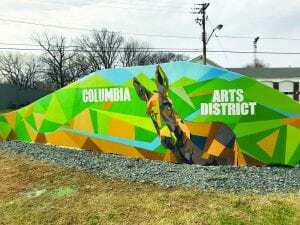 The City of Columbia worked with the Tennessee Arts Commission (TAC), a partner agency that awarded the City matching grant funds that offset the cost of both side one and two of the mural project completed this week. The mural project was initiated by the Columbia Arts Council and the City of Columbia with the goal of creating the city’s first public mural. Next articleSnared by New Blood Pressure Guidelines, Now What?